Margaret Bourke-White studied photography at the Clarence H. White School of Photography and went on to finish college in 1927. She moved to Cleveland and opened a studio with a primary interest in industrial photography. This work interested Henry Luce, publisher of Fortune magazine, who hired her in 1929. Margaret Bourke-White photographed the construction of the Fort Peck Dam. Her work on this project was featured 82 years ago this week (November 23, 1936) in the first issue of Life magazine. Her work was also the cover of the issue. In the mid-1930’s her Life assignments chronicled lives of victims of drought in the Dust Bowl. She traveled to Europe to document Nazism in Germany, Austria and Czechoslovakia as well as Russia under Communism. While there she made a very rare photo of a smiling Joseph Stalin. She started the first photography lab/darkroom at Life. The next year found her in the Soviet Union documenting their industry. She was the first non-Soviet photographer to do so. Later she was the only American photographer in Moscow during the bombing by Germany in World War II. During World War II, Margaret Bourke-White became the first woman to be a war correspondent in combat zones. After photographing the firestorms in Russia, she was attached to the U.S. Army Air Force in North Africa. She covered battles in Italy and later in Germany itself. Her work resulted in not only remarkable photographs but in a life of harrowing adventure. She entered the failing German Third Reich during the spring of 1945 with General George Patton. She entered the Buchenwald concentration camp where she witnessed the brutality of the place. She produced a book on her experiences, “Dear Fatherland, Rest Quietly” that helped her cope with the horrors she had experienced during the war. In 1948, just hours before the assassination of Mohandas Gandhi, she interviewed him and made the last photographs of him. 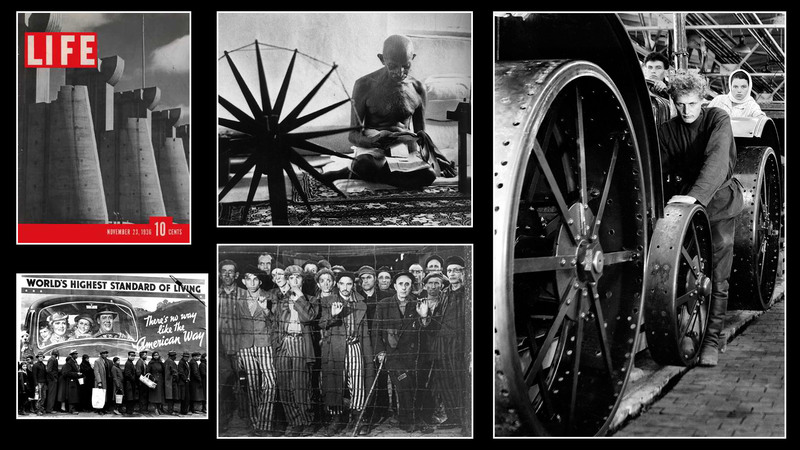 Margaret Bourke-White was diagnosed with Parkinson’s disease in 1953. She had to slow her work due to the disease. In 1959 and again in 1961 she underwent surgery to deal with her tremors. It also affected her speech. She died at Stamford Hospital in Stamford, CT. She was 67 years old.